A national or subnational government department politically responsible for education is termed as Education Ministry. It is present in several countries across the globe. These education ministries are the lead advisors for the Government on education system who deals with educational matter, develop educational policies and addresses various educational concerns. Do you want to get the details of education ministries? 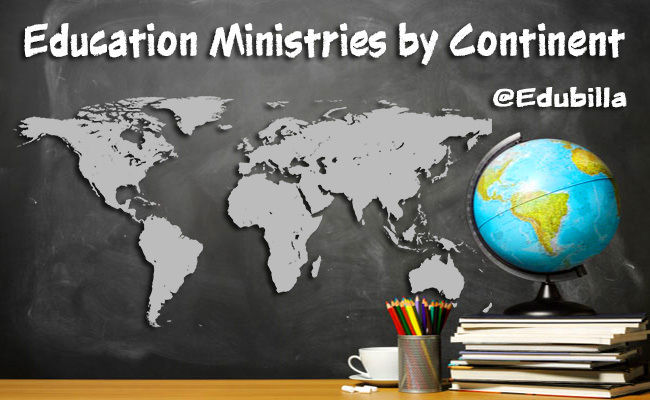 You can get information related to education ministries that are present in various countries all over the world in the international education and information portal Edubilla.com. It includes location, ministry head name, address, contact information, website, description about the ministry, its vision & mission, principles, values key challenges and other details. The education ministries are segregated by continent and country which makes it easier for you to find the education ministry you are looking for. Knowing about the education ministry in a country is very essential as it is backbone of education system over there. Hope, the information available in Edubilla in relation to the education ministries will be useful for you as it gives clear details regarding the same.